The month-old AMD Radeon RX 480 GPU is now finally in the hands of add-in board partners. It makes sense for these partners to construct their own boards because the reference card's cooling and noise characteristics are far from ideal. 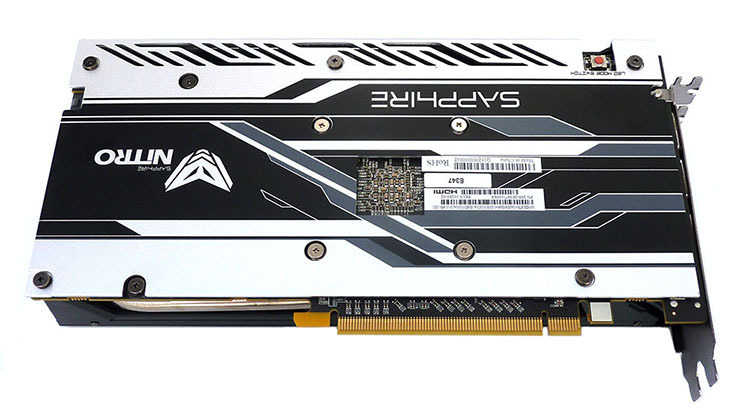 We saw Asus step up to the plate with its Strix implementation the other day, but many have waited for AMD's largest partner, Sapphire, to make a move before considering purchase. And there's good reason for that. 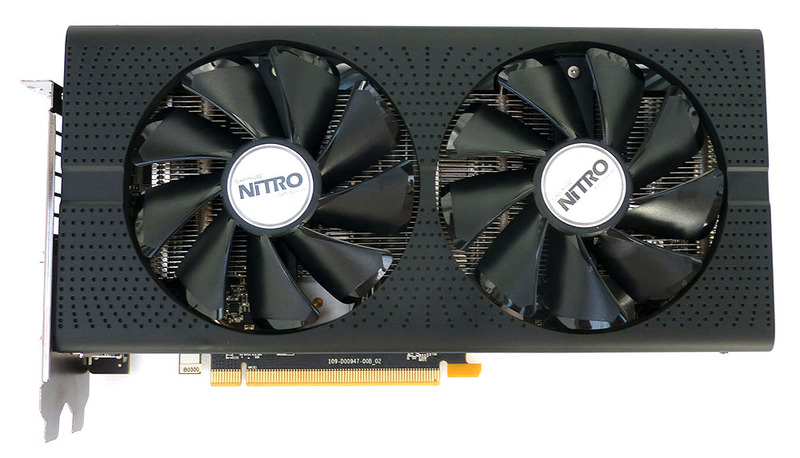 The new Sapphire RX 480 Nitro range starts at £200 for a custom-cooled model with 4GB of memory while the 8GB variant, available in two core clock speeds, is priced at £240 and £250, respectively. Even given the paltry state of the pound, this is the kind of maximum pricing we expected for the lead AMD Polaris GPU. We have both the 4GB and 8GB OC GPUs in for review today. Both share the same cooling and PCB. This makes implicit sense from an economic and time-to-market point of view. The all-new Nitro cooler has a soft-touch feel and houses two removable, 95mm fans that use ball bearings instead of the cheaper sleeves sometimes seen on lesser cards. Using Sapphire's Intelligent Fan Control III, the duo only turn on at 52°C, meaning that, when you're not gaming, the card is silent. 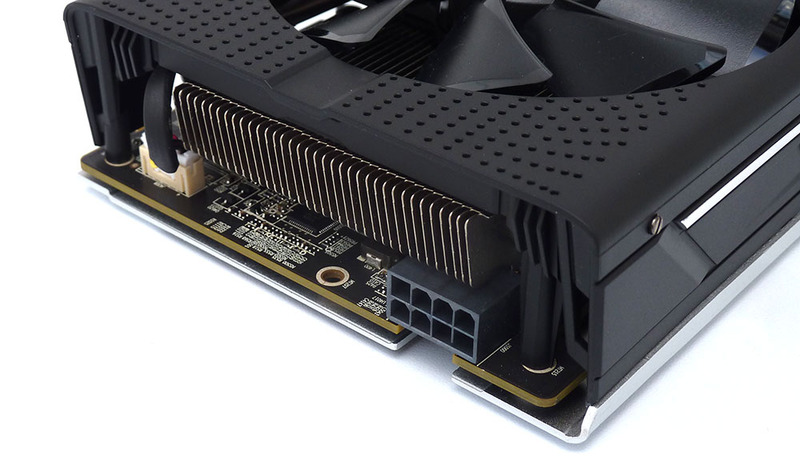 Rather than slap any premium cooler on, which is usually massive and used on the very best, larger GPUs, the Nitro's dual-slot cooler is more specific to a mainstream card and measures 240mm long and 120mm high. The Nitro's trick in keeping an enclosed heatsink is to locate the 8-pin power connector at the front, providing up to 225W of juice to the card. Remember we mentioned two models? The 4GB iteration is clocked in at 1,306MHz boost core and 7,000MHz memory while the 8GB OC raises the boost core to 1,342MHz and uses 8,000MHz-rated memory as standard. Interestingly, Sapphire specs both at 225W, though we imagine that's more of a maximum TDP than actual usage - you'd expect the 4GB card to consume less power. Appreciating where other partners are pitching their frequencies, we're generally happy with the core speeds but did hope Sapphire would indulge in some out-of-the-box memory overclocking, because both above-quoted figures are reference. Of course, there's nothing stopping you from doing so manually. Nitro also features an attractive, card-wide backplate that connects to the PCB by a thin strip of thermal tape and gives the card extra rigidity. That small red button toggles the state of the illuminated Sapphire logo on the far side. The default is the familiar Sapphire blue, but you can also have the RGB lighting set to a rainbow, based on PCB temp, fans speed, off, or customised through TriXX software. The Sapphire implementation of the 'must-have' RGB lighting is simple, somewhat muted in brightness, but effective. Stripping away the cooler is easy enough, and doing so reveals the core makes full contact with a central copper block that has a couple of 10mm heatpipes running through it and out to the fins. A third, thinner heatpipe stays within the confines of the block. There's good use of thermal tape and Sapphire takes care to offer some cooling to the VRM components. A small switch at the top enables you to load a second BIOS. 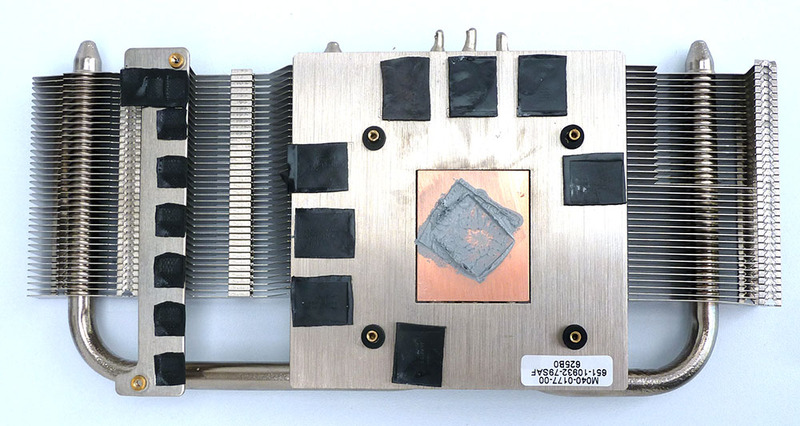 The latest iteration of Black Diamond 4 chokes have built-in heatsinks and promise to be 10 per cent cooler and 25 per cent more power efficient than the previous generation, though we have no simple means of verifying such claims. And as you would expect on a decent card, the capacitors have a decent life - 16,000 hours by the company's reckoning. The PCB you're looking at is from the 4GB card. It uses Hynix memory, and only 4GB rather than a flashable 8GB, rather than Samsung currently housed on the two 8GB-equipped Nitros. The latter card's PCB is nigh-on identical, save for the removal of one of the six GPU power phases shown here. It transpires that all retail cards will have five, meaning our 4GB sample is pre-production. Sapphire jumps on the VR-friendly bandwagon by including two HDMI and two DisplayPort connectors (reference has 1x HDMI and 3x DP). Because the trio of Nitro cards are so alike, you need to look out for part number 11260-02 for the 4GB card (£200), 11260-07 for the standard 8GB model (£240) and 11260-01 for the 8GB OC (£250). They're all backed by a three-year warranty, too, sweetening the appeal.